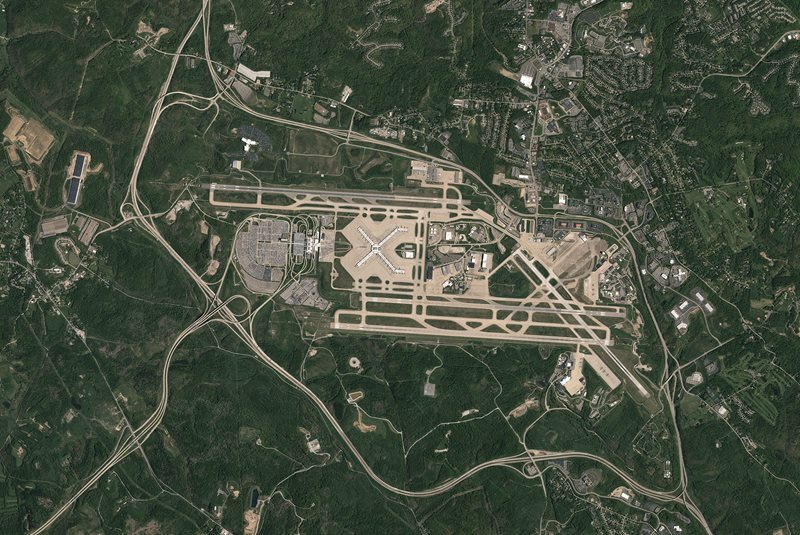 Although Pittsburgh unsuccessfully bid for Amazon HQ2 (perhaps more of a blessing than a curse), the city recently broke ground on an ambitious 195-acre development adjacent to the Pittsburgh International Airport dubbed the “Innovation Campus.” While the proximity of the Innovation Campus to the airport and a spaghetti junction of interstate highways provides a wealth of logistical benefits, it is the site’s legal status that will likely draw tenants. Licensed by the World Trade Centers Association, facilities within the development will be able to import, manufacture, and export products with exemptions from international duties. This initial phase of the project, led by construction firm Cast and Baker, is largely preparation work to ready 16 sites for development by 2023. While the first of the campus’s buildings should be complete within the next few years, the total build-out will progress over the course of a decade. Relying on ground-leasing subject to FAA regulations, the Allegheny County Airport Authority intends to blend office space, research laboratories, manufacturing facilities, and warehouses across the site. 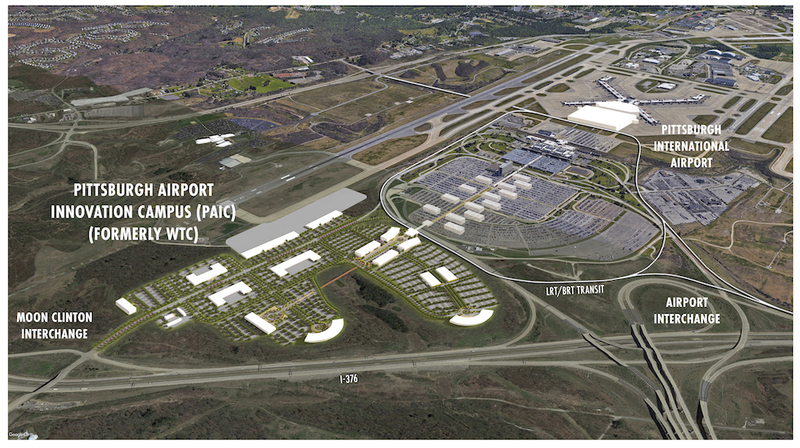 According to the Allegheny County Airport Authority, the model for the Innovation Campus’s strategy and design is the Schiphol-Rijk, an industrial district located adjacent to Amsterdam’s principal international airport that houses operations for leading manufacturing and technology firms, including Intel, Yamaha, GE Wind Energy, to name but a few. The construction of the Innovation Campus will follow the ongoing billion-dollar renovation of the Pittsburgh International Airport expected to be completed in 2023.